I didn’t think I’d used up many products, but it turns out I was wrong. 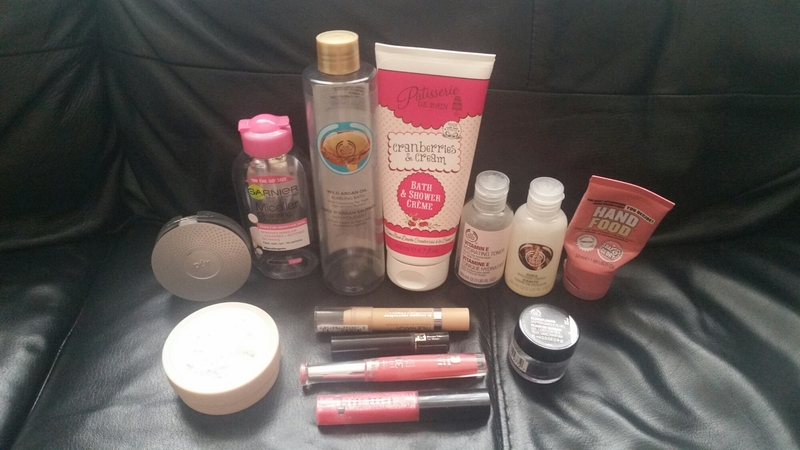 So here’s this months empties! So this lip gloss was very much an impulse purchase. I’d never tried any of Bobbi Brown’s lip glosses, so when I saw this pink, sparkly one, I snapped it up. I didn’t love this gloss, but as I didn’t hate it, I made an effort to use it up. I was expecting more of a pink colour, but it’s essentially a clear glittery lip gloss. The glitter stays on your lips even after the gloss has worn off, and it’s thick and sticky in consistency, making it feel like a much cheaper product than it is. Don’t worry I haven’t spelt the name of this wrong, it is effet and and not effect! The Effet 3D range is one of my favourites, as there’s such a great choice of colours and the glosses are hydrating but not sticky. This shade is a light pink and it’s a softer colour than many I own, but it adds a delicate hint of colour and looks lovely used on it’s alone or on top of a lipstick. Repurchase? Not for now, as I have two more Bourjois pink lipglosses to get through. I’ve mentioned this crayon concealer before as it’s one of my must have products. There’s a great range of colours that work well for my skin tone, as I use the lightest shade Ivory in the colder months and buy a shade or two darker for summertime. As this is a dry concealer it works well on the oily parts of my combination skin. This has been my go to foundation for quite some time, as I find powder foundations work best for me. This one is great for my combination skin as it’s not too matte and drying, so I use it across my whole face. The range of colours is great and like with my concealer, I buy different shades for winter and summer. I got this mini sized mascara in a Lancome set I received for Christmas. My usual mascara is Lancome’s Hypnose Drama, but after trying the original Hypnose mascara, I’ve fallen in love with it. It gives great length and separation, with no clumpiness. Repurchase? Yes. I will buy the full sized product in the future. I’ve tried micellar waters in the past and not been too impressed, so I only purchased the ‘On The Go’ size of this product. I’ve really grown to like this cleanser and surprised myself by how quickly I used it up. My only gripe is that it’s not sensitive enough to remove my eye makeup, as it does irritate my eyes. Repurchase? Yes, I’ve purchased a full size bottle! I got this mini bottle of toner in The Body Shop shop calendar last year and as I love vitamin e products, I enjoyed using this. As this is a hydrating toner, I mostly used it on just the dry parts of my face and it felt lovely and gentle. Repurchase? Yes in the future, but I’ve got my eye on a Lush toner to use on my dry patches. I got this in The Body Shop calendar in December and I absolutely love this product! It’s amazing at reducing puffiness under eyes and making me feel alert and awake in the mornings. I love how cooling this gel feels under my eyes, so I was sad when it ran out. Repurchase? Yes! I’ve just placed an order for another one. This is usually one of my favourite Soap & Glory products, but I’ve been a bit disappointed by this hand cream this time. I still absolutely love the scent which contains notes of Shea butter and marshmallow, but I didn’t feel this helped improve the condition of my hands. Repurchase? I probably will repurchase and give this another try in the future. This is another product I received in The Body Shop calendar. It’s not a full sized body butter, buy it still contained a reasonable amount of product. I never really loved The Body Shop’s Body Butters growing up, as they felt too heavy and greasy, but I found myself loving this. It felt thick and creamy, not greasy as I remembered and melted into my skin no problem. I also liked the subtle, gentle scent of the shea butter. Repurchase? Not at the moment, as I have two more Body Shop moisturisers to get through. This is yet another product that I got in The Body Shop calendar! Again it’s not a full sized product but it’s one I enjoyed using. This shower cream felt luxurious and rich, without feeling too heavy. As with the Body Butter, I really liked the gentle Shea scent. Repurchase? Yes, probably in the future. The title of this is a bit of a mouthful, but I was given this body wash in a set with a matching hand cream. I’ve never tried this brand and I found this wash pleasant enough. 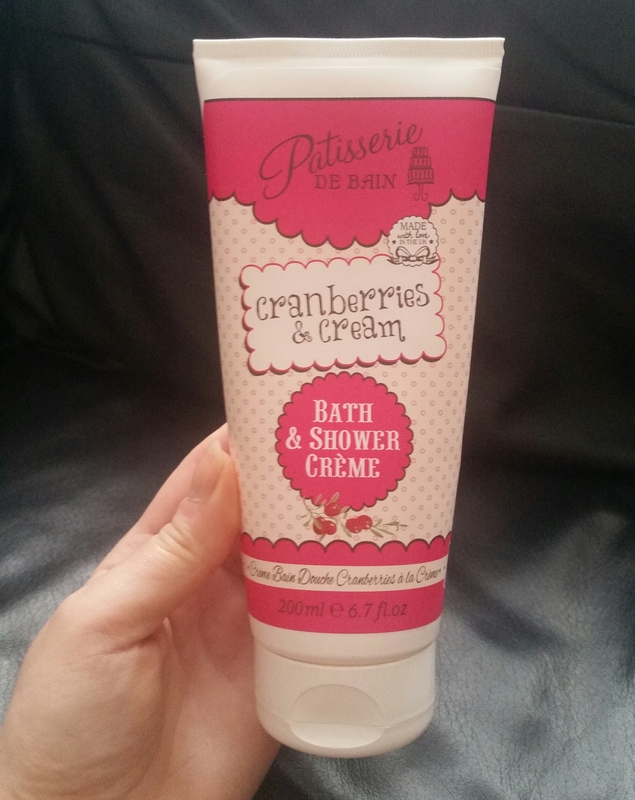 It felt fairly creamy and the scent was somewhere in between cranberries and strawberries, but I didn’t totally love this product. I bought this bubble bath a while back as it was half price. It’s a good sized bottle and only a small amount of product is needed to create lots of bubbles. 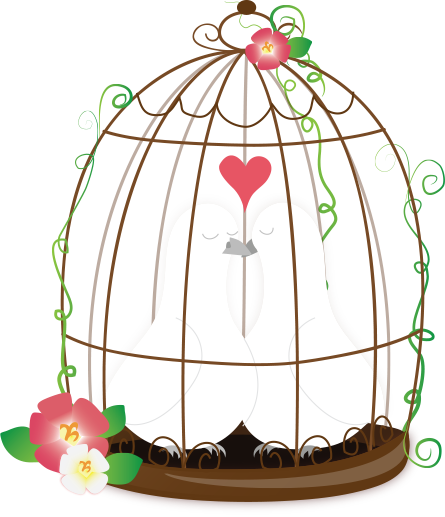 The argan scent is fruity and nutty without being too overpowering or sweet. Repurchase? Probably not. I liked this bubble bath but I didn’t love it. So that’s my round up of this months empties. Let me know if you’ve tried any of these products. I have my eyes on that body shop eye cream now – it sounds amazing! I used the eye gel and it helps me sleep better too! For some reason. I love Body Shop Body Butters especially the cranberry seed. Its a little greasy but good for my dry skin. Good intro to other products. Thanks. Moisturizing is crucial even if you live in high humidity like me, skin can still dry out when we are in air conditioning. I loved the ones I bought in Auckland from a department store called Farmers but can’t get the brand here in Malaysia. I love to match my bath gel and body lotion before bed time, like sleeping in a cloud! We have Body Shop though a limited range. We just had bath and body works set up 2 stores in the city. But I like body products so will pick up stuff as I travel. In Auckland I used Skin Wisdom a local brand. Love their vanilla and neroli body butters. Even drinking water isn’t sufficient to hydrate skin I feel. We still need good skin care. My daughters use a lot of Korean and Japanese products. Better suited to their skin. Yes they have those lovely candles! The scents on sale change with the seasons in North America so we are very pampered for choice. Moods are often created by smells so it’s a great hit here. It’s a fun store to linger in once my daughter and I spent an hour just smelling and testing! Hope you get one in the UK soon. surprised there isn’t one yet. Do you have a similar local brand maybe? We also have Yankee Candle Shop here but just a tiny store in one mall so far with a small selection. I want to try the Marcella water so bad!! I’ll have to check them out, thank u! Loved your post! Definitely want to make my own empties blog post too & I am obsessed with Lancome mascaras too! I used to work there & now nothing else can compare.. Loreal is good too! I love most of the products that you’ve mentioned here! I’ve been curious about that L’Oreal crayon concealer – I thought it might be a cheaper alternative to the UD concealer chubby sticks. Glad to know it works well – I’ll have to get one when they’re on sale next time. 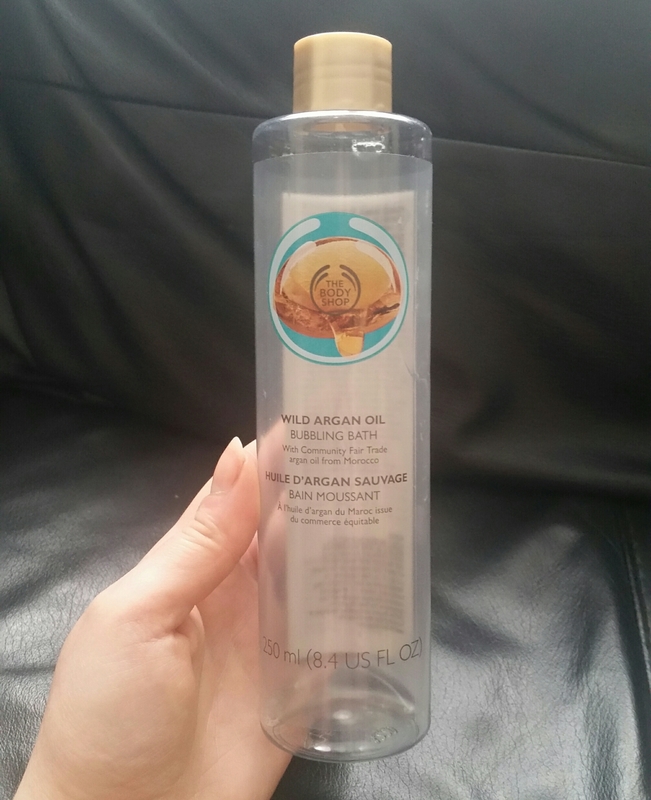 I’m using the Body Shop toner right now – it’s one of my all time favourites. I’m not usually that loyal to any particular toner but that one I’ve repurchased multiple times! Wow, did you use up a lot of products – well done! I think it’s probably just the French word for effect. Bit more fancy saying effet☺ I really like the L’Oreal concealers. The range of colours work for my skin tone and as it’s a crayon, it wont oxidise. I have all the products you got from the TBS Christmas calendar. I love the shea body butter. It smells so good. The hydrating toner is going to be my companion on my trips and vacations. The elderflower gel is part of my morning routine. 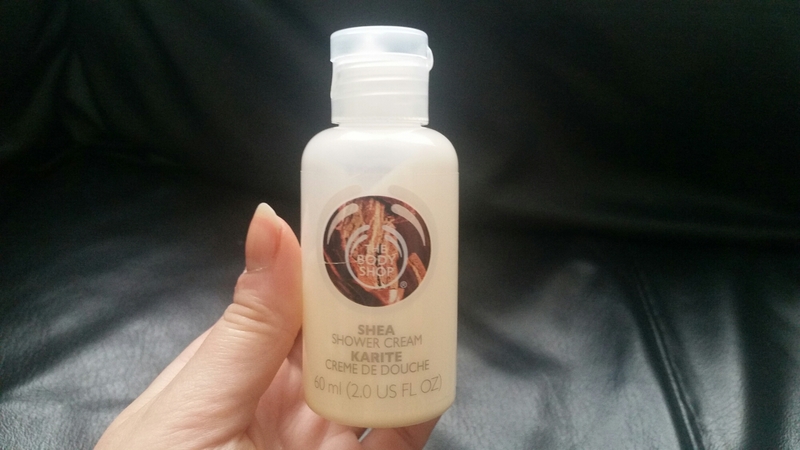 The shea shower cream… well, I don’t know about that yet. I’ve almost finished it but I’m on a fence with it. I kind of like it and yet it’s kind of disappointing. I hoped I don’t have to use a separate moisturiser after shower but I do.